How individual cells communicate with each other and with the environment to shape plant architecture? The plasma membrane plays a critical role in regulating exchanges between the intra- and extracellular milieu and in controlling cell-to-cell communication. The aim of our group is to understand what makes the plasma membrane unique with regard to other membrane compartments and as such competent for signaling. We want to understand how signaling domains are being defined at the plant plasma membrane, both at the level of the cell (e.g., polar domains) but also at the micrometer scale (e.g., membrane microdomains). We also plan to address how these signaling domains evolve during the course of signaling and what are their functional roles during cell-cell communication. Anionic phospholipids (e.g. phosphoinositides, PIPs) are minor lipids in membranes but they have a huge impact on cell signaling and organelle identity. They not only recruit proteins to specific cellular compartments, but they also deeply impact membrane biophysics properties. Furthermore, their production is tightly and dynamically regulated during development and interaction with the environment. - What are the anionic lipids involved in plasma membrane organization and how? -What are the functions of anionic lipids and their interacting proteins in hormone signaling? -How do anionic phospholipids contribute to endomembrane compartment identity and orchestrate intracellular trafficking? - How is anionic lipids homeostasis regulated by changes in the environment and contribute to plant adaptation? Platre, M.P., Bayle, V., Armengot, L., Bareille, J., Marques-Bueno, M.M., Creff, A., Maneta-Peyret, L., Fiche, J.B., Nolmann, M., Miège, C., Moreau, P., Martinière, A., and Jaillais, Y#. (2018). Developmental control of plant Rho GTPase nano-organization by the lipid phosphatidylserine. Science. 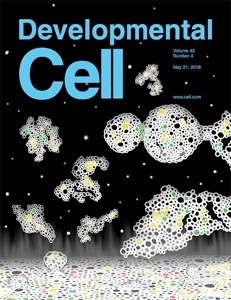 2019 Apr 5;364(6435):57-62. doi: 10.1126/science.aav9959. Copic, A., Moreau, P., and Jaillais, Y.2018. landscape of plant endomembranes. bioRxiv, p.278135. apical meristem in Arabidopsis thaliana. BMC Biol. 2018 Feb 7;16(1):20. Gronnier J, Crowet JM, Habenstein B, Nasir MN, Bayle V, Hosy E, Platre MP, Gouguet P, Raffaele S, Martinez D, Grelard A, Loquet A, Simon-Plas F, Gerbeau-Pissot P, Der C, Bayer EM, Jaillais Y, Deleu M, Germain V, Lins L, Mongrand S. Structural basis for plant plasma membrane protein dynamics and organization into functional nanodomains. Elife. 2017 Jul 31;6. pii: e26404. doi: 10.7554/eLife.26404. Noack LC, Jaillais Y#. Precision targeting by phosphoinositides: how PIs direct endomembrane trafficking in plants. Curr Opin Plant Biol. 2017 Dec;40:22-33. doi: 10.1016/j.pbi.2017.06.017. Epub 2017 Jul 19. Review. Guidelines for the Use of Protein Domains in Acidic Phospholipid Imaging. Methods Mol Biol. 2016;1376:175-94. doi: 10.1007/978-1-4939-3170-5_15. Belkhadir Y, Jaillais Y. The molecular circuitry of brassinosteroid signaling. New Phytol. 2015 Apr;206(2):522-40. Martins S, Dohmann EM, Cayrel A, Johnson A, Fischer W, Pojer F, Satiat-Jeunemaître B, Jaillais Y, Chory J, Geldner N, Vert G. Internalization and vacuolar targeting of the brassinosteroid hormone receptor BRI1 are regulated by ubiquitination. Nature Communication. 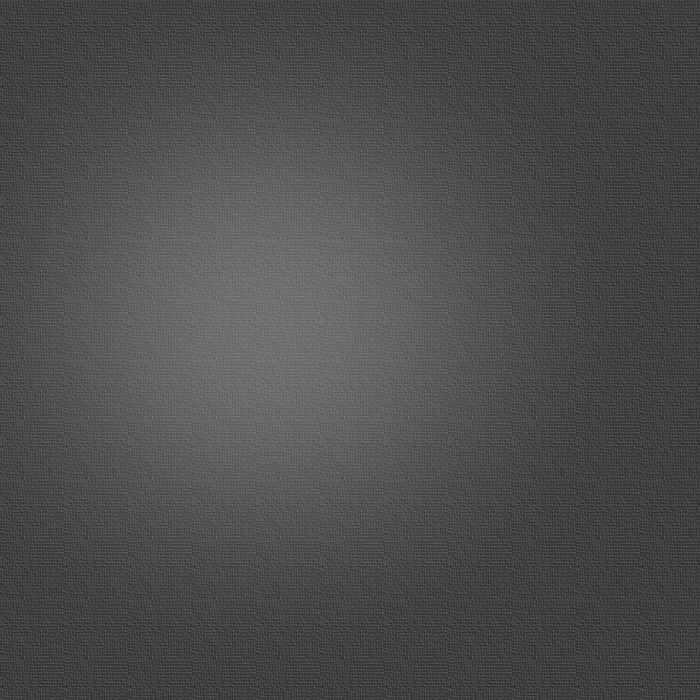 2015 Jan 21;6:6151. Simon M*, Platre M*, Assil S, van Wijk R, Chen WC, Chory J , Dreux M, Munnik T and Jaillais Y. A multi-colour/multi-affinity marker set to visualize phosphoinositide dynamics in Arabidopsis. Plant Journal, 2014 77, 322-337. Jaillais Y and Vert G. Brassinosteroids, gibberellins and light-mediated signaling are the three-way controls of plant sprouting. Nature Cell Biology. 2012 14(8), 788-790. Jaillais Y*, Belkhadir Y*, Balsemão-Pires E, Dangl JL, Chory J. Extracellular leucine-rich repeats as a platform for receptor/coreceptor complex formation. PNAS. 2011 17, 108, 8503-7. Jaillais Y*, Hothorn M*, Belkhadir Y, Dabi T, Nimchuk ZL, Meyerowitz EM, and Chory J. Tyrosine phosphorylation controls brassinosteroid receptor activation by triggering membrane release of its kinase inhibitor. 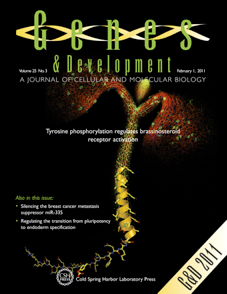 Genes and Development, 2011 25, 232-7.